Erb N Dub is a talented producer from the South East of England, UK. 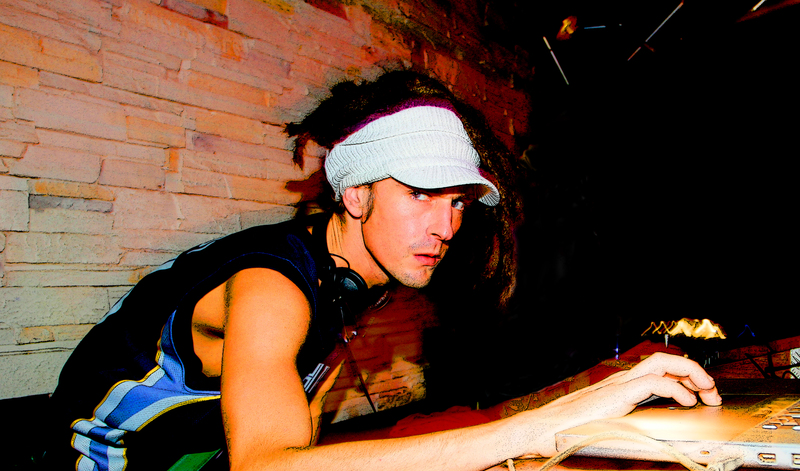 He produces hard hitting, drum and bass, dubstep and drumstep and has collaborated and continues to work with a number of artists from Navigator, Skibadee, Axl Ender, Tony Anthem and Eksman. He continues to build a number of brands and side projects, these include Hashtag – a collaboration with longtime friend KG. Erb N Heroes is a collaboration between Erb N Dub and punk band Underground Heroes, drawing on influences from dubstep, drumstep and punk. BeatCulture.net caught up with Dubz for the third installment of the BC and Urban Hit Promo collab. We discussed his past influences and what drives him as an artist. My name came from when I was younger. Back then myself and Harry Shotta were chilling in my bedroom studio and zoning to music. We were talking about names and out of a blaze of smoke – Erb N Dub was born. Wow there is a lot. From – The Police to Aphex Twin, to Earth Wind and Fire to Roni Size. As I come from a live drum background I took and take inspiration from everywhere. Not really. I grew up playing drums; it naturally evolved into producing dance music. Very! I took massive influence in my early drumming style and then into making D&B. In 2010 I started working with Navigator. He has helped me hugely. What sort of influence did soul, jazz and funk have on you? Any artists? All three genres influenced my music. Quincy Jones is one of my main heroes. The Aphex Twin – ‘Richard D James’ album is mind blowing. After hearing that I knew I wanted to produce music. In D&B – Navigator, Det & Skibadee. In D&B – Hype, Andy C & Crissy Criss. In D&B – Original Sin, Dillinja & Pendulum. I use a Mac Pro Tower. I am lucky enough to be a Steinberg endorsed artist so the most up to date version of Cubase, which is currently 7. I use Yamaha MSP 7 monitors and Dynaudio BM6s for writing. Ermmmm… I’m not really sure to be honest. Most of my 2012 tracks/remixes/co labs have had a great response. Wow…. At present I am looking to push Hashtag to the forfront of D&B, find a record deal for Erb N Heroes and release music of any genre I want as Erb N Dub. This entry was posted in Editorial, Interviews and tagged drum and bass, drumstep, dubstep, erb n dub, erb n heroes, hashtag, Navigator, skibadee on January 3, 2013 by Jamie BC.